Our best seller! Made with Alaskan honey. 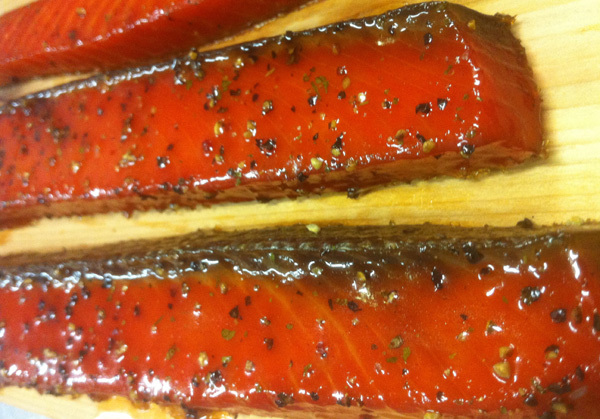 These strips are cut from the most flavorful part of the Sockeye salmon, the belly. Anyone who knows salmon will tell you that this is the choicest cut for smoking purposes - plus it contains loads of heart healthy Omega-3 oils. Smoked to perfection using cherry wood. Choose from sockeye, red king and white king salmon varieties.